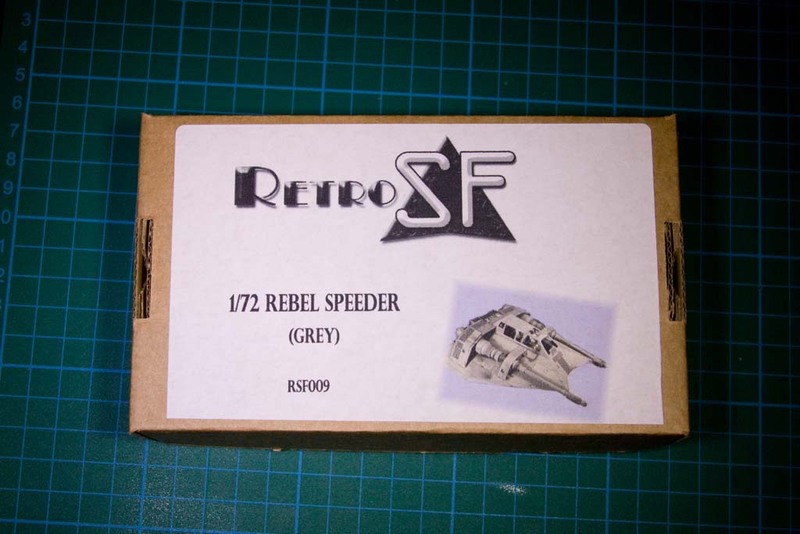 Adding some old builds which dropped off when I moved from one site to another, so here is a a build up of the RetroSF Rebel Speeder all combined into a single post. Picked up RetroKit’s Star Wars Speeder recently, as a test for a large Star Wars build which is going to be coming up soon, and very impressed with the quality and the detail on it. I must confess to having been a little nervous ordering it as the website only had 1 very small image of the kit. They have now updated this will a parts shot. The kit is 25.99 euros plus a small delivery charge and arrived very quickly (with a couple of days). They also contacted me to let me know that it was on it’s way. Very good customer service and would have no hesitation in recommending them. Model arrived in a stout box to protect what turns out to be the numerous parts.